The Erzullie Resort 2014 Chiffon Gaucho Pants is one of the instant favorites of the season! Not only is it comfortable, but the hint of gold glamour against the basic black provides a sensual mystique any fierce plus size woman craves. 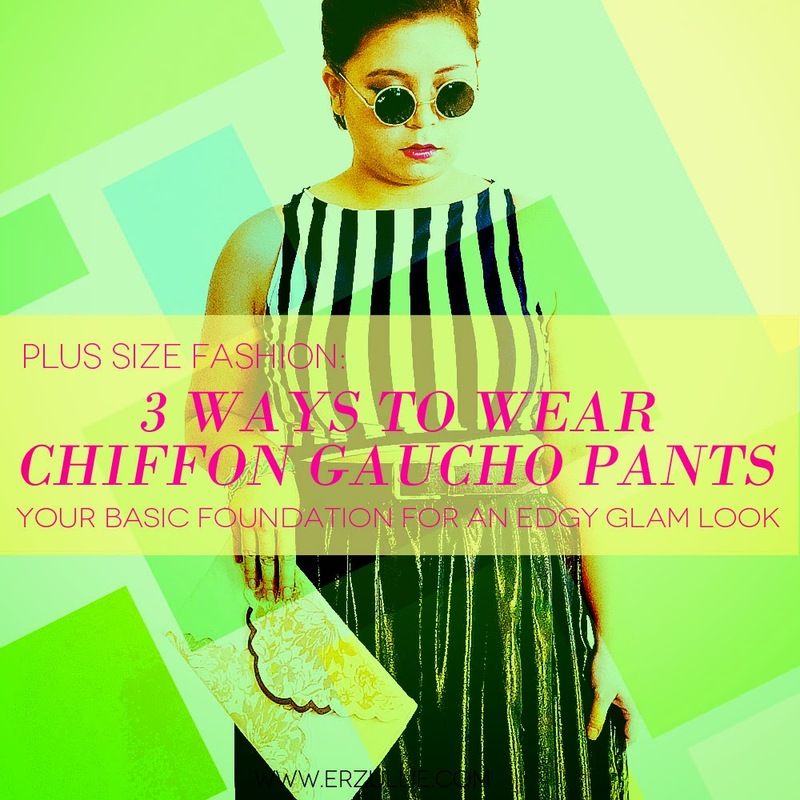 Check out the 3 ways to style it. Feel a little ‘nautical’ with your darker side. 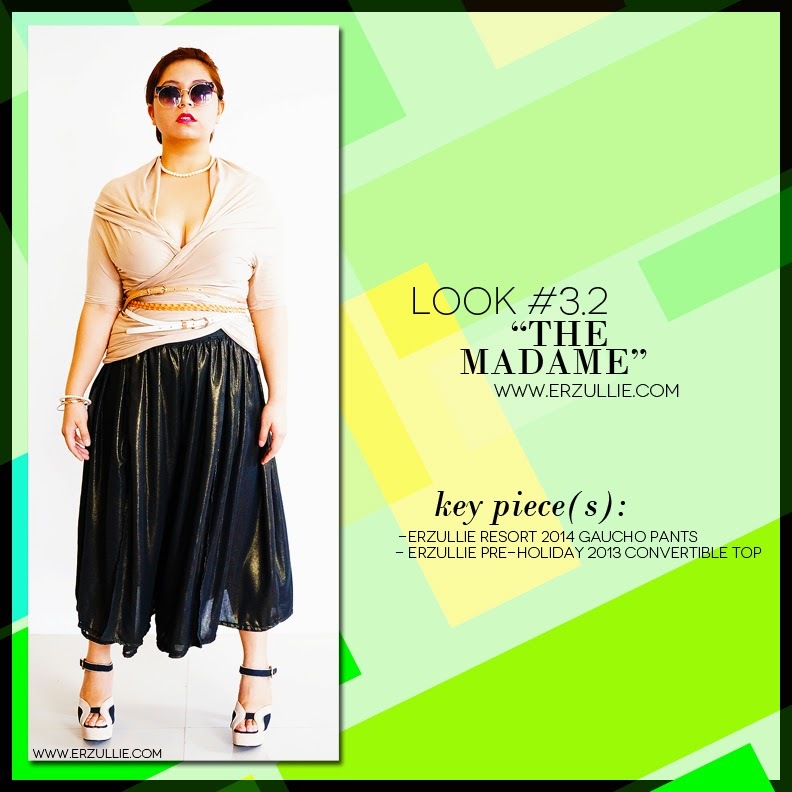 This outfit is composed of the Erzullie Pre-Holiday 2013 cropped top and the Erzullie Resort 2014 chiffon gaucho pants. 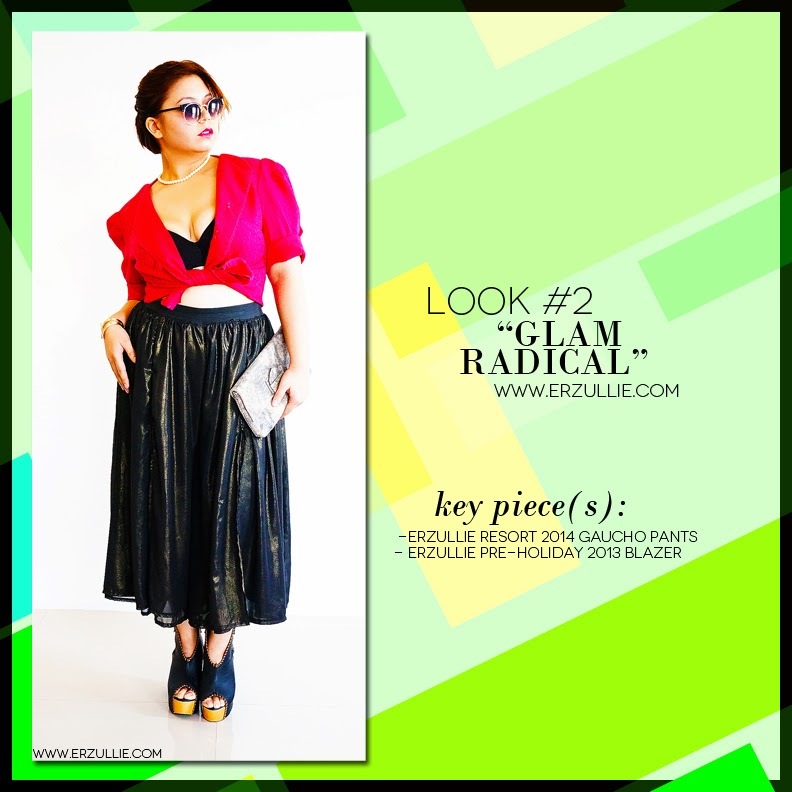 Go a little unconventional with a hint of rebellion with this glam radical look! It’s made up of the Erzullie Pre-Holiday 2013 blazer and the Erzullie Resort 2014 gaucho pants. Look high fashion and mysterious with this classic mystique look. We have converted the Erzullie Pre-Holiday 2013 convertible top into a hoodie and paired it with the Erzullie Resort 2014 gaucho pants. Feel powerful, edgy and in control with this outfit! The Erzullie Pre-Holiday 2013 convertible top paired with the Erzullie Resort 2014 gaucho pants defines great frame and form for the body.